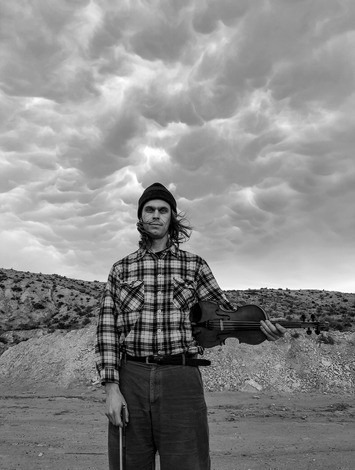 Spirited musician and multi-instrumentalist Peter Broderick presents an entire album devoted to the songs of Arthur Russell. This diverse collection, named Peter Broderick & Friends Play Arthur Russell, includes ten renditions of Arthur Russell’s songs, two of which have yet to be released in their original versions. What began as an idea from his former Efterklang bandmate Rasmus Stolberg – who invited Peter to perform an entire set of Arthur Russell songs at his festival in Denmark – evolved into a passionate voyage of discovery, when Broderick’s live performances caught the attention of Arthur Russell’s long-time partner Tom Lee. This connection has since led to Broderick examining some of the remaining archival work, and performing audio restoration on some of the old tapes, finding himself closer to Arthur Russell’s music than he could have ever anticipated. Broderick’s strong love for his work has grown exponentially, as he delved deep into the psyche of his hero, listening to hours and hours of unreleased material. Inspired to learn some of this music himself, Broderick also discovered that some of his favourite Arthur Russell songs have yet to be heard. Peter Broderick & Friends Play Arthur Russell is a vibrant and joyful tribute to one of Broderick’s greatest heroes. 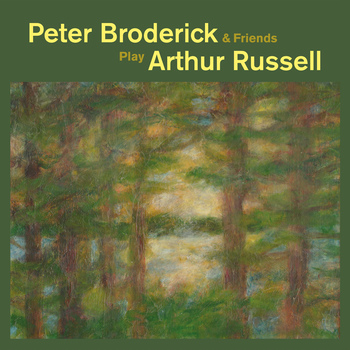 The album was recorded in the state of Maine, where most of Arthur’s surviving family are based, where Broderick himself was born back in 1987 and with a large cast of friends and family, including Arthur Russell’s niece Rachel Henry and nephew Beau Lisy – full credits below. The cover is adorned with an original painting by Tom Lee. Peter would like to extend his deepest gratitude to all of Arthur’s family, friends and fans who have been so warmly welcoming of his own versions of these tunes. It is hoped that these recordings will serve to honour the truly staggering legacy of Arthur Russell. The album was initially made available, free to download as a gift to fans on Christmas day. Physical versions are also now available: the CD version is being released by Lirico in Japan. A vinyl pressing of 300 copies, and a cassette format, are available through Pretty Purgatory. Songs by Charles Arthur Russell Jr.